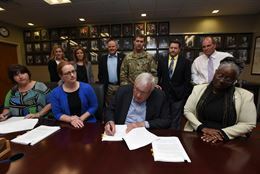 Sunset Marina’s owners have signed a lease agreement with the U.S. Army Corps of Engineers to develop the first new marina built on Lake Cumberland in decades. A lease signing ceremony took place July 5, 2017, in Nashville granting permits to Tony Sloan and Tom Allen, managing members of Marina at Rowena LLC as well as Sunset Marina in Byrdstown, to begin construction of Marina at Rowena on Rowena Landing South on Lake Cumberland. 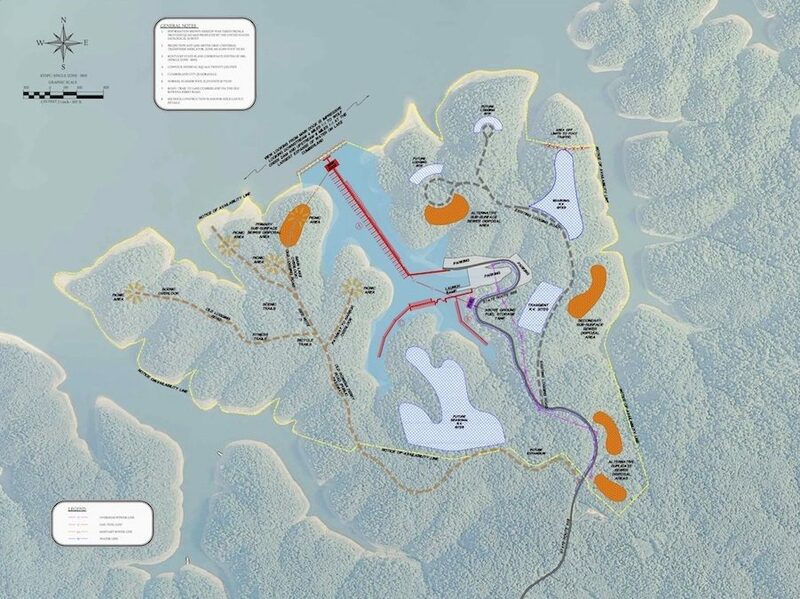 Sloan said being able to sign a lease marks the end of a long but worthwhile process, which makes it possible to develop this new marina in Kentucky’s Russell and Clinton Counties. Allen said that the site Marina at Rowena is accessible from State Highway 90 via State Road 558, an asphalt road that ends at the abandoned Rowena Ferry site where a large boat-launching ramp is located. The lease area consists of approximately 407 acres of land and water. “Located only four miles upstream of Wolf Creek Dam from the largest parking and launching area on the lake, Rowena is nearby hundreds of coves that provide fishing, watersports and anchorage,” Allen said. Allen said that with the lease signed, they will be building a parking lot and boat launching ramp during the first year of development. In the second year the main dock with 121 slips and a café will be constructed to begin operations. The Marina at Rowena will become the ninth marina to operate and serve the recreating public and boaters at Lake Cumberland. Allen noted that the Marina at Rowena will be located at the epi-center of recreational boating on Lake Cumberland on the biggest, deepest and cleanest water on the lake.